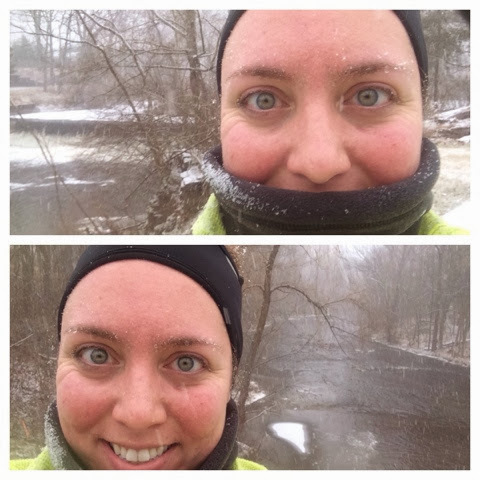 Snowy Run, Oh So Fun! First of all, Merry Christmas everyone! I hope everyone was able to enjoy some time with family and friends! Santa was very good to me and I got some new awesome running shoes and Yak Trax for when the weather gets really bad! I kept to my training despite the holiday, which felt great! I did an easy 3 miles to start breaking in the new kicks on Christmas Day and then 5 miles today before heading back to Quincy. 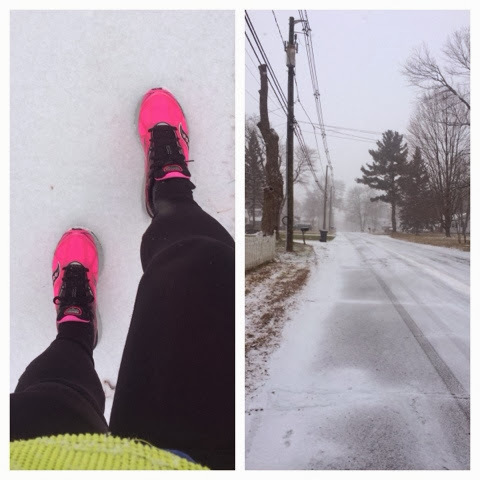 Today I was able to enjoy my first (of what I assume will be many) snowy run of the season. I have to say, running in the snow is one of my favorite things to do! It’s so much fun to do runs somewhere different. Even though I grew up in Suffield, I never got to see it from the runners perspective. I’ve passed this pond/brook/dam many times by car, but breaking for a brief photo-op at te halfway point of my run to take these was kind of fun. Give me a little time to get better with “on the run” photo ops! Haha I’m super excited, though, because I bought my phone a lifeproof case so many more wintry wet pictures to come! Looking forward to running into a healthy and happy New Year. I’m thinking about trying to hold some sort of fundraiser event in the next few months. This is all very new to me. Any thoughts, suggestions or experience (i.e. willingness to help??) I think it would be great to do something to celebrate this journey and my success to date with everyone in person. Hopefully more to come on this!